Rajshri Foundation is the non-profit arm of the 68 year-old Rajshri group, India’s leading film, TV, music and digital entertainment studio. Set up in 2012 by Rajjat A. Barjatya and Neha Barjatya, Rajshri Foundation is a social enterprise that supports the underprivileged and empowers the youth to become self-reliant. We have taken our first step by starting a food program at night schools in Mumbai. 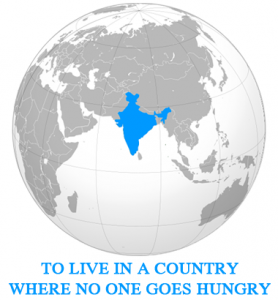 Our vision is to live in a country WHERE NO ONE GOES HUNGRY! The idea is simple, the impact significant.